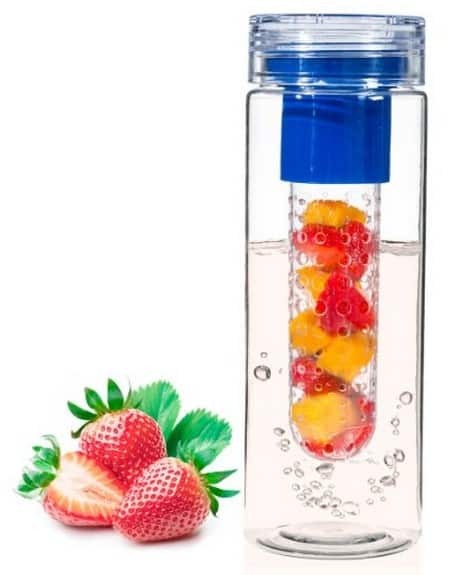 The Infuser Water Bottle – 28oz is on sale for $12.99 at Amazon right now. That's 68% off the list price of $39.99! GREAT FOR YOU AND THE ENVIRONMENT: Use fresh fruit of your choice to ensure you're getting fresh and natural flavor into your infuser. No need to read labels about other sugar and/or chemical contents those other beverages might have. YOU choose what YOU put in your beverage. Our bottles are also BPA free, meaning we don't use plastic containers that may contain chemicals and toxins that are harmful to you and the environment.